Stephen King, whose first novel, Carrie, was published in 1974, the year before the last U.S. troops withdrew from Vietnam, is the first hugely popular writer of the TV generation. Images from that war -- and the protests against it -- had flooded America's living rooms for a decade. 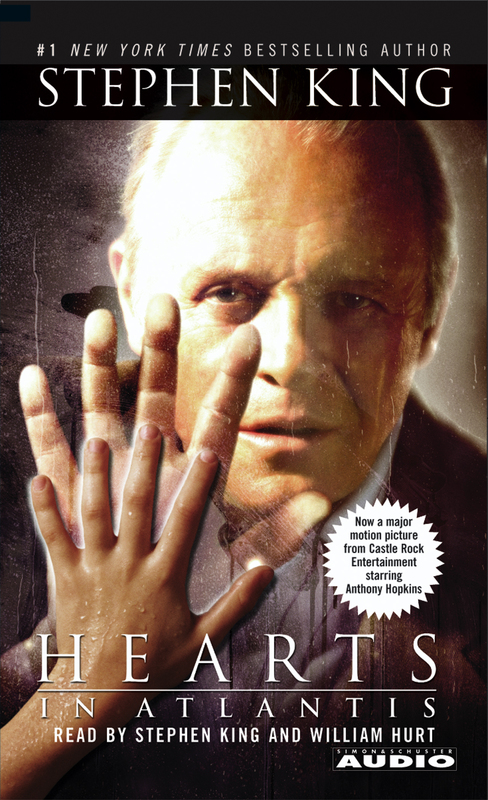 Hearts In Atlantis is composed of five interconnected, sequential narratives set in the years from 1960 to 1999. Each story is deeply rooted in the sixties, and each is haunted by the Vietnam War. In "Low Men in Yellow Coats," eleven-year-old Bobby Garfield discovers a world of predatory malice in his own neighborhood and that adults are sometimes not rescuers but at the heart of the terror. In "Blind Willie" and "Why We're in Vietnam," two men who grew up with Bobby in suburban Connecticut try to fill the emptiness of the post-Vietnam era in an America which sometimes seems as hollow and haunted as their own lives. And in "Heavenly Shades of Night Are Falling," Bobby returns to his hometown where one final secret, and his heart's desire may await him. Full of danger, suspense, and full of heart, Hearts In Atlantis takes some listeners to a place they have never been...and others to a place they have never been able to completely leave.